The Galeries Lafayette along Blvd. 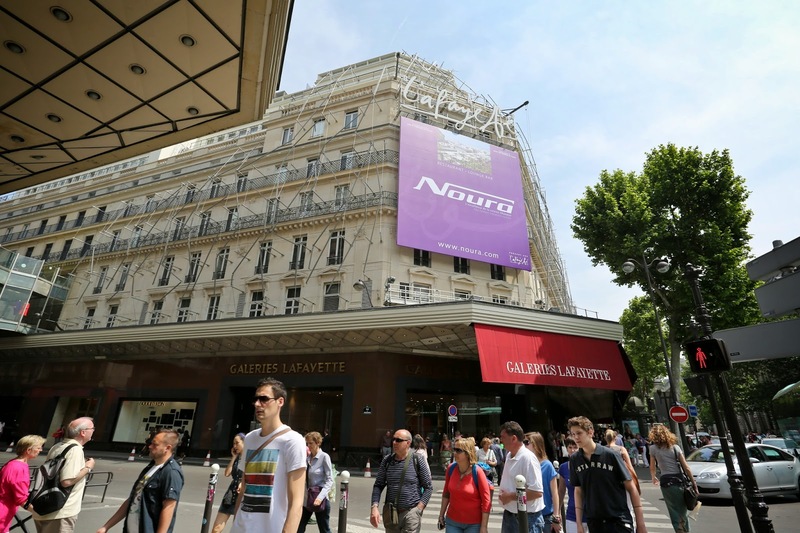 Haussamann is a tourist attraction itself! You can find all the branded goods all under one roof, or should I say under the gorgeous belle-epoque dome. 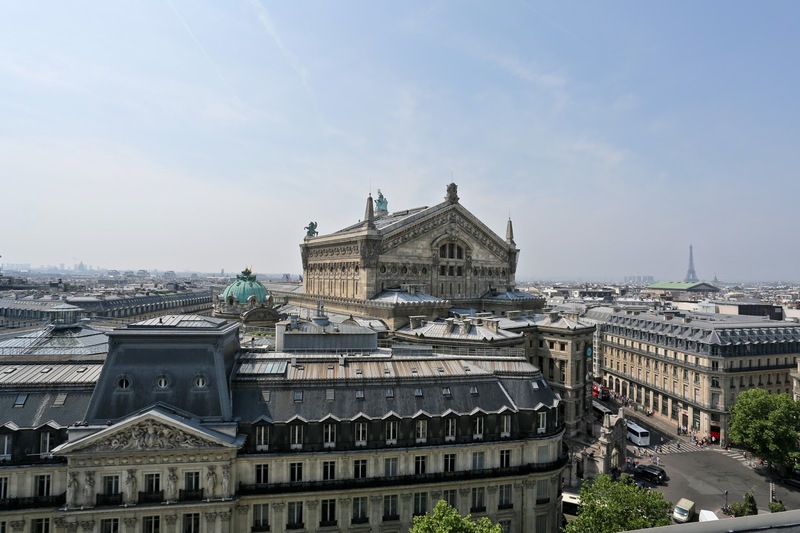 While many others come and do their shopping here, a handful of tourists come here for a wonderful view of the Opera Garnier from the roof terrace. 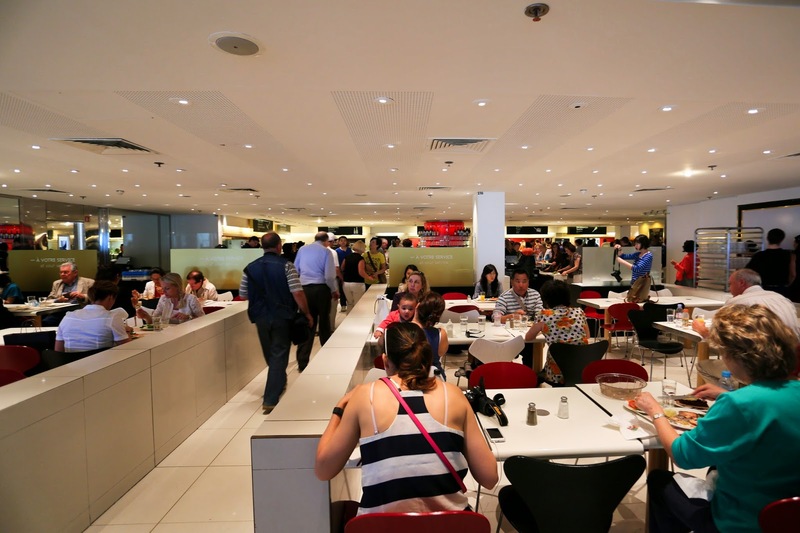 If you are hungry, there is 19 restaurants and eateries throughout the department store's three buildings. 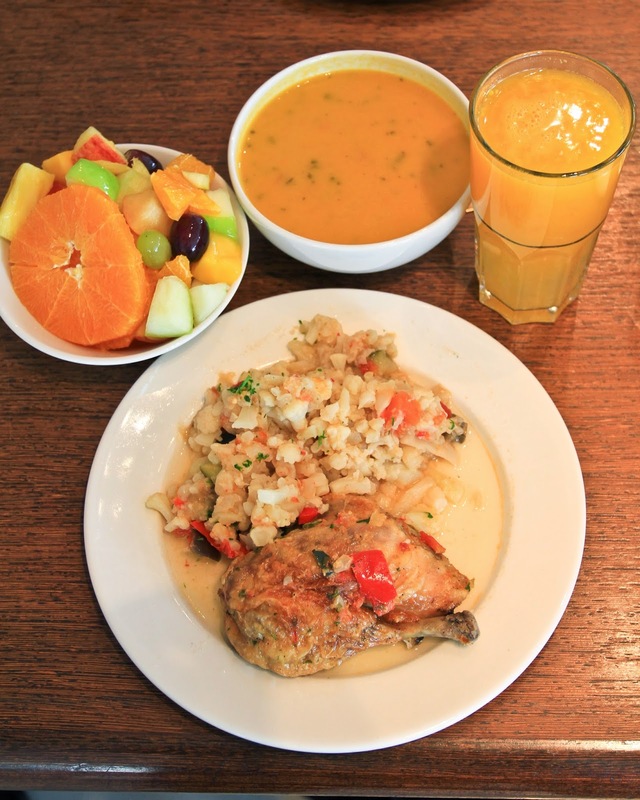 The first thing we did was to have lunch at Lafayette Café, located on the 6th floor of Galeries Lafayette. 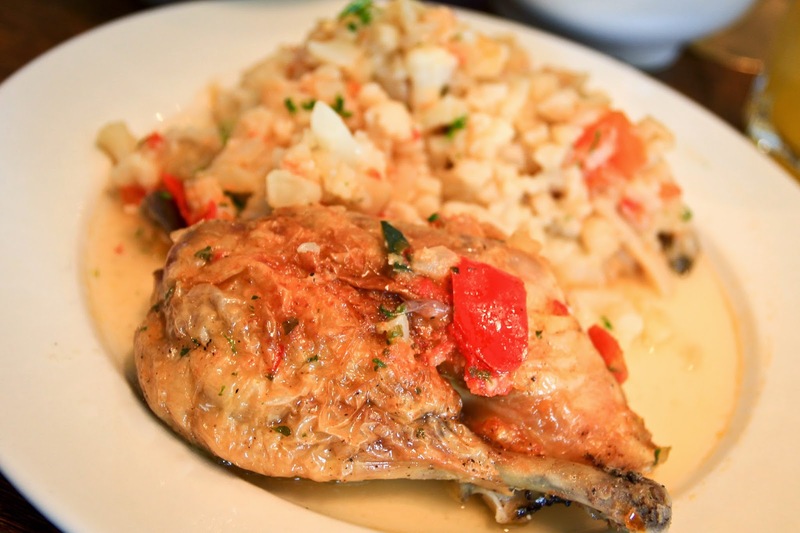 Lafayette Café is a place for a quick, simple lunch with some great views of the city without paying an arm and a leg. This is a self service café has a wide range of choices, from salads to oysetesr to steaks, as well as an elegant selection of desserts. They are open from Monday to Saturday (9.30am to 7:30pm, late night opening till 8.30pm on Thursdays). There is a bank of windows facing the Opera. Unfortunately, I forgot to take photo!! !We will have to make do a photo of the view from the official website. The interior of Lafayette Café. It may get crowded during lunch. Service is like Ikea where you go to different counters and pay at a counter. After lunch, we went up 2 flight of stairs to the roof which is open to public for a 360 degree of Paris. You could get a drink from the rooftop café or a cup of coffee from the coffee cart. The roof is large and back in 19th January 1919, a pilot by the name of Jules Verdines landed a plane on this roof! 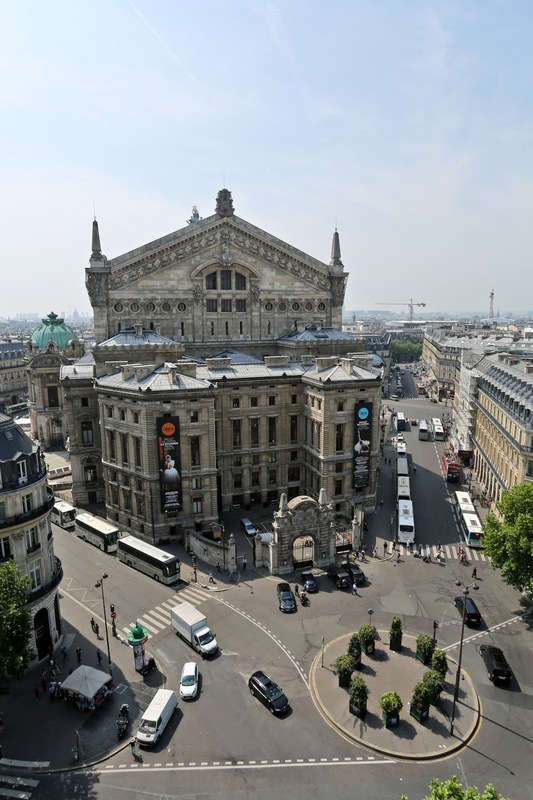 You can get the special birds eye view of the Opera Garnier from the terrace. You can see many people relaxing on top of the roof. 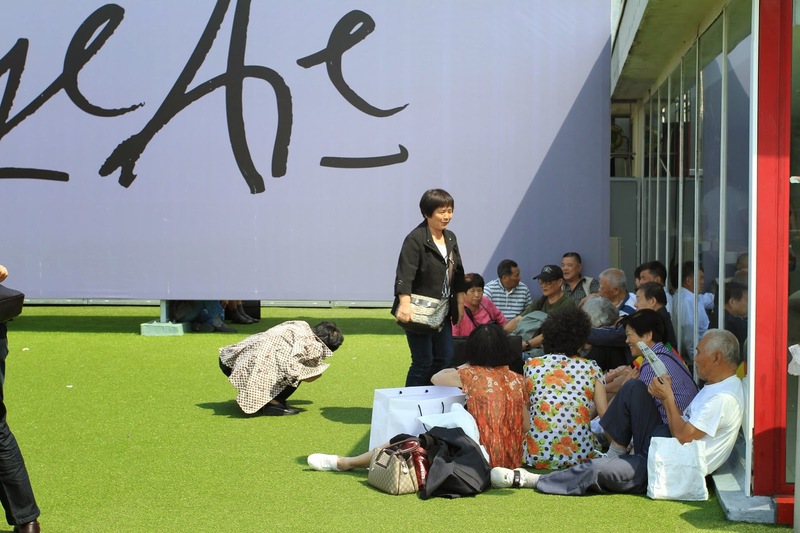 The picture below shows a group of China tourists who are resting after buying loads of Channel bags. Walking in the 1893 historic building is a treat. Even if you don't intend to shop, it is still worth visiting the store as the store unique Belle Epoque architecture features a dramatic coloured glass dome and an Art Nouveau staircase offering dizzying perspectives. This is the part of the trip that ended on a bad note. The "Gypsies girls", also known as Romas, extremely aggressive in this area. They will run around asking if you speak English or wanting you to sign a paper. They work in pairs and will attempt to pickpocket you. They appear like flash-mobs once they find a target that is willing to entertain them. I was extremely shock when they attempted to pull my sister's bag. It was literally day light robbery. Fortunately, my family members left the place unharmed with our belongings. Make sure that you keep your belongings in a safe place. Do not entertain them and if you encounter them, just leave the scene. The best tip I can provide is to blend in with the locals. Hide those tourist maps, cameras unless you really have to use them. Only withdraw money at ATMs (distributeur in France) that are in a bank lobby like BNP Paribas where there are lots of surveillance cameras. Carry just enough cash for the day to minimise the damage if you ever become a victim of pickpocket. Bring a photocopied passport unless you are crossing boarders. Ignoring the ugly side of Paris, the Palais Garnier is a beautiful building. 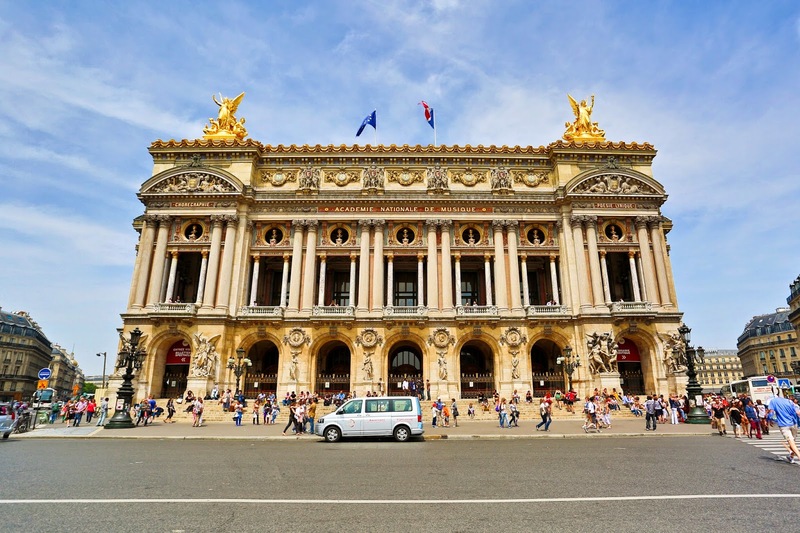 It is a 1979 seat opera and made famous as it is used as the setting for Gaston Leroux's 1910 novel The Phantom of the Opera which is used in films and Andrew Lloyd Webber's popular 1986 musical. You can visit the interior such as the Pythias Fountain, grand staircase, Grand Foyer at 10.00 € for adults. We didn't enter the place as the early encounters of the "Romas" ruined our spirits. We ended leaving the place for our hotel. - If you have a short visit to Paris and want a comprehensive shopping experience. 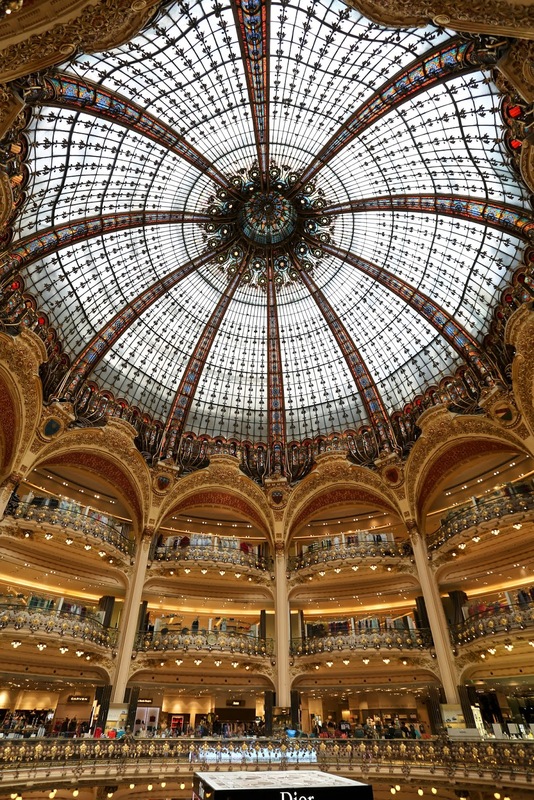 Visit the Galeries Lafayette as they have all the major brands under one roof. - Even if you don't intend to shop, you can visit the building for its amazing architecture and beautiful view from the roof terrace. - Beware of the Romas, also known as "Gypsies girls", as they are extremely aggressive around the Palais Garnier.